Adedayo Akolade Mustapha hails from Oke-Ola Oro, Irepodun Local Government Area of kwara State, born on the 9th day of May, 1988 in Ilorin. He had his primary education at St. Joseph’s Nursery and Primary School, Ilorin between 1992 to 1998 and then proceeded to the Lagos State Civil Service Senior Model College, Igbogbo, Ikorodu, Lagos for his secondary education between 1998 and 2004.He was admitted to study at the University of Ilorin,Faculty of Law,Ilorin, Kwara State, from 2006-2011 where he obtained his LL.B (HONS), Common Law (2nd Class, Lower Division). He proceeded on his compulsory one year National Youth Service Corps in 2012 where he served at the Department of Research,Statistics and Planning of the Legal Aid Council Of Nigeria, Head office in the Federal Capital Territory, Abuja. He attended the Nigeria Law School, Lagos where he bagged his Barrister at Law Degree (BL) (2nd Class, Lower Division) in 2013. He started his legal practice in the Law Firm of Yusuf O. Ali & Co. in July 2014 and he has since been practicing in their Ilorin office. 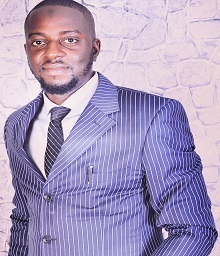 He has worked especially in the Litigation Section of the office with a daily record of advocacy in different courts in various States ranging from the Supreme Court, Court of Appeal, Federal High Courts, High Courts of different States, National Industrial Court, Election Petition Tribunals, Securities and Investment Tribunal, Census Tribunal, Magistrate Courts, Area Courts, Customary Court of Appeal and a host of other mobile Tribunals. He also has a vibrant corporate law practice at the Corporate Affairs Commission and has keen interest in Financial Investment Legal Advising and Investment management Legal Consultancy. Reading Newspapers, Watching football, listening to music, discussing politics, law, and Blogging.